The third installment of what became known as the Dark Knight trilogy took a little longer to hit theaters, allowing Christopher Nolan to make and release Inception first. The conclusion of his bat-trilogy, Dark Knight Rises, was met with divisive reactions, thought it still made plenty of money. I agree that a few plot points are awkward, but I quite like it. Tom Hardy’s intelligent and intimidating Bane was what fans needed after the bastardization of the character in Batman and Robin and there was a good lesson about fighting to live instead of embracing a martyr complex, a real maturation for the Batman character. Christopher Nolan’s Dark Knight is still considered by many to the not just the greatest Batman movie but the greatest superhero movie of all time. For me the film does live up to the hype, and was certainly better than Batman Begins with stronger villains (especially the deceased Heath Ledger’s performance as the Joker), clearer action scenes, a heavily intense story, and great performances by Gary Oldman as James Gordon and Aaron Eckhart as Harvey Dent. Eight years after the disastrous Batman and Robin, Warner Brothers released the Christopher Nolan-directed reboot of the Batman franchise: Batman Begins. Batman Begins successfully returned the character to his darker roots. The new film universe was also much more gritty and realistic, with no neon lights or over-acting wacky villains. The best thing the reboot did was make Commissioner Gordon (played wonderfully by Gary Oldman) an important character. The movie does have its flaws, such as a weak third act and a potential to engage in pretentious dialogue, but I think it captures the Batman of the last thirty years perfectly. In an unusual move, Nolan decided to have Hans Zimmer and James Newton Howard to collaborate on the music. While an interesting pair, the music they make sounds like it could easily have been written by one man and I have no idea why two big-name composers are needed. It pretty much ends up being a Hans Zimmer score, and he in fact has become Nolan’s go-to composer. 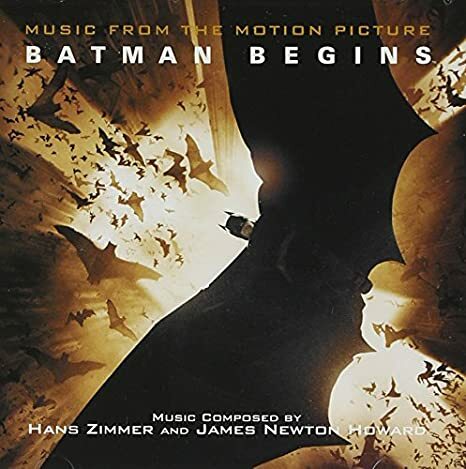 Zimmer and Howard admitted to not really listening closely to any of the other Batman soundtracks, although the heroic and operatic style in those would not have matched the tone of Batman Begins. Zimmer and the Media Ventures gang take over most of the action and suspense while Howard provides the emotional core. Interestingly, all of the track titles are names of bat species (there’s also an easter egg in them as well), though this can make it hard to tell what scenes the different pieces of music are from. Zimmer came up with the primary Batman themes. The first major motif to pop up is suitably dark, and sounds like the slow flapping of bat wings. It opens up both the movie and the album in “Vespertilio”. It later appears in “Atribeus” amidst loud clangs and sound effects as Batman surprise attacks criminals. The second motif also appears in “Vespertilio”, a simple two-note motif against a rhythm. The rhythm from this theme is used to its best effect in the training montage scene (“Eptesicus”). Despite being incredibly simplistic, these motifs are very effective at creating the proper atmosphere. The only tune with any degree of complexity is a love theme created by James Newton Howard, which builds into a soaring motif in “Macrotus” and “Corynorhinus”. The League of Shadows gets its own oriental motif, which is very eerie and ambient. The Scarecrow gets no theme or motif, although unnerving sound distortions are used when his fear gas hits Batman in “Tadarida”. There are plenty of motifs which are recognizable, though it’s hard to specifically assign them to a certain idea or character. The action and heroics are a little on the light side, with the soundtrack emphasizing dark ambience and emotional moments. The first notable action cue is in “Myotis”, but there are no true moments of heroism until “Antrozous” and more notably the propulsive “Molossus”. One track I just love is “Lasiurus”. It starts off with a repeating, descending fanfare before going into the League of Shadows theme. The second half is one of the emotional themes repeating itself and growing increasingly louder and dramatic. The end is one very long note before the flapping motif from album’s beginning also closes it. 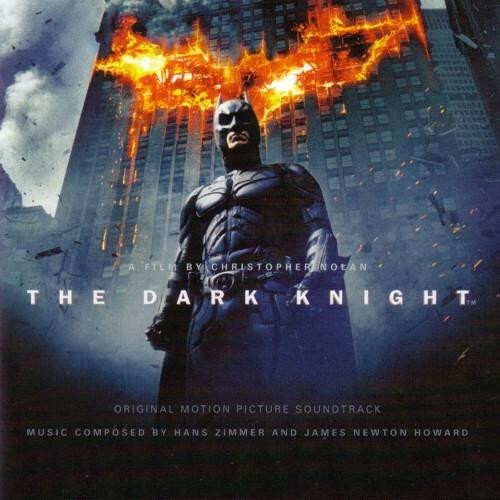 How does Zimmer and Howard’s effort compare Danny Elfman and Elliot Goldenthal? Danny Elfman is definitely better. It’s hard to beat his main theme and the sweeping gothic nature of his music. Elliot Goldenthal put much more thought in constructing his themes and motifs. This is still a solid score. The ambience and simple themes work well, but it’s a bit odd that two of the industry’s greatest composers couldn’t come up with something a little more epic and aside from some of the piano pieces it just sounds like Zimmer. Batman Begins is not the best bat-score, but I think it perfectly captures the feeling of the more recent comics. Following complaints about the unpleasant nature of Tim Burton’s Batman Returns, Warner Brothers replaced the director of the Batman franchise with Joel Schumacher, who provided a more kid-friendly blockbuster. Heavily criticized for its overbearing neon lighting and its poor Two-Face (played way too over-the-top by Tommy Lee Jones), I rather like Batman Forever, the first film to seriously explore Bruce Wayne’s origins (although many of the scenes that would have effectively explained this plotline were unfortunately cut from the film) Michael Keaton’s replacement, Val Kilmer, does a fine job as Batman, Jim Carrey turns in a delightful, if over-the-top, performance as the Riddler, and Elliot Goldenthal comes in to do perhaps one of his best scores. Elliot Goldenthal is known for his dissonant fragmented style, which tends to turn off listeners. However, I find Batman Forever to be a very good effort, not to mention the most thematically complex in the franchise. Dissonant Goldenthal trademarks are found all over the place, from the wailing French horns to the loud clangs. It is a score fully appropriate for the zany atmosphere of the film, with a myriad of styles ranging from traditional orchestral pieces to circus music to waltzes. 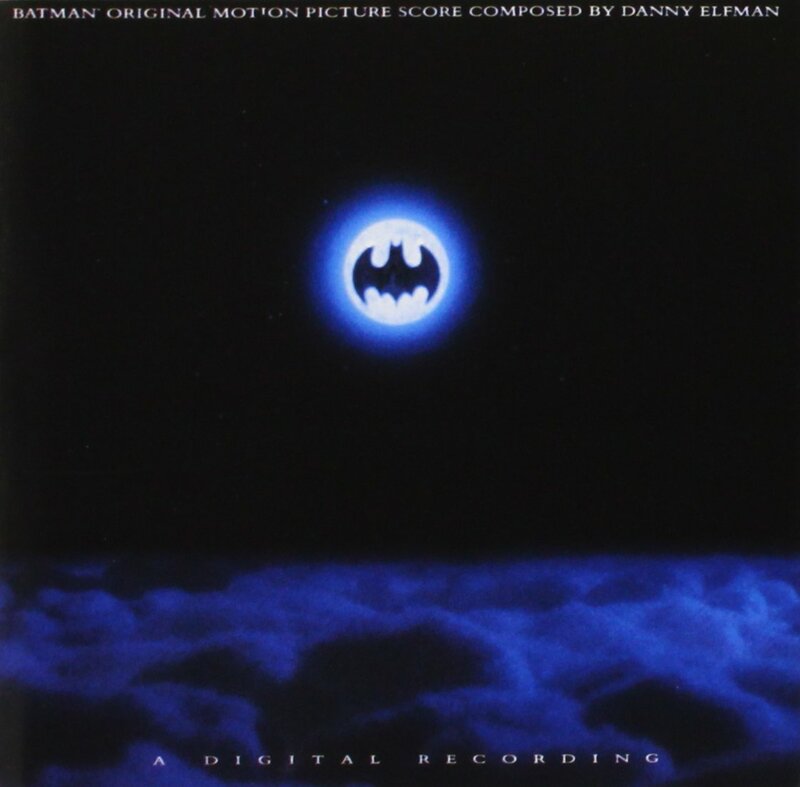 Joel Schumacher initially wanted Goldenthal to reuse Danny Elfman’s famous Batman theme, but was convinced by the composer that such a theme would not work well in the more campy film. As a result we are given an equally good fanfare which provides much more interesting malleability, although the dark edge of Elfman’s work is somewhat lost. The new Batman theme appears in nearly every single track in a seemingly limitless number of variations. In fact, most of the themes are based around several short motifs, linking them all together in a complex web. For example, the Riddler’s four-note motif can also be found in Two-Face’s theme, and a three-note danger motif is found within several larger themes. There are two notable secondary themes derived from the main theme. The first is a bombastic reworking amid a bunch of whirling and screeching strings and random jazzy sound effects labeled on track 11 as “Gotham City Boogie”. The second is a love theme with the end of the Batman theme put in (“Chase Noir”). The tragic background and stories of Batman and his newly-acquired sidekick Robin are provided with a melancholy piece. It appears ion slow strings in the quiet “Pull of Regret” and has louder moments in “Under the Top” and “Spank Me! Overture”. Its best appearance is in ‘Under the Top” where it builds up to a loud climax and then subsides into tragedy. The villains get their own wide range of musical ideas. Two-Face is given a fairly long theme suitably played in two-note increments. It fails to convey the tragic nature of the comic’s character, but this is expected due to Tommy Lee Jones’ poor performance and the script’s propensity for one-liners. The highlight track for this theme is the waltzy “Two-Face Three-Step”. Jim Carrey’s wacky performance of the Riddler is backed by an equally absurd collection of music. Starting off with a descending four-note motif, Goldenthal puts it through so many variations and into so many melodies that it will take several listens to find all of its appearances. “Nygma Variations” is a six-minute suite for the Riddler which starts off with an ominous march and after a quiet bit of sci-fi theremin enters into a series of wacky electronic cues and the action version, which doubles the amount of notes in the theme in half the time. For moments underscoring the Riddler’s unstable emotional mind, Goldenthal uses discordant violin pieces and when the villain’s grand scheme reaches fruition uses a loud bombastic theremin. Two tracks well worth getting mention are “Victory” and “Holy Rusted Metal”. “Victory” is my favorite because of the way it changes moods so fast while being entertaining. Two-Face’s theme loudly starts off this cue until the Batman fanfare breaks in, only to literally flop as our hero falls into a trap. The music then gets louder and louder as Batman is engulfed in flames. However, a secondary fanfare breaks out as he emerges from the flames. Goldenthal then utilizes an electronic organ as he ends up being in an even worse situation. Ending the cue is yet another recurring heroic fanfare as Robin saves Batman from his death. “Holy Rusted Metal” is notable for its grand villainous fanfare which would get a bigger treatment in the dismal sequel Batman and Robin. How does the album do as a listening experience? There are few quiet moments, although there is a five-minute interlude in the middle consisting of “Pull of Regret’ and “Mouth to Mouth Nocturne” (a very lovely piece). But the action, while very loud and furious, isn’t the type that you enjoy for rhythms and frantic pacing. Batman Forever benefits from its large number of themes and the seemingly endless number of variations they undergo. Batman Forever is not for everyone thanks to its loud, dissonant nature and has received plenty of flack from film score reviewers. In fact, it will downright annoy many of your friends. The score album is a little hard to buy, but if you like the music, get it before it becomes even more rare. Batman Forever, in my opinion, has about equal standing with Batman Returns and is the most complex bat-score ever made thus far. La-La Land Records released the complete score in 2012. Frustratingly, despite providing all the music, some of the material on the first disc is out of chronological order for some unexplained reason. Regardless, there are plenty of new variations on the themes and motifs to check out. My favorite previously unreleased music is ‘Scuba Fight/Claw Island/Emperor of Madness”, which has a lot of that awesome fanfare from “Holey Rusted Metal”. Of the three complete Bat-score releases, this is the strongest, since the highlights of the Danny Elfman soundtracks were all present on the original releases anyways. Although he had returned to his grimmer, darker roots nearly twenty years earlier in the comics, Batman was still often perceived by the non-comic reading community as the campy crusader of the sixties TV show, battling alongside Robin against colorful villains while such words as “POW!” and “BANG!” lit up the screen. Just as teh Superman movie franchise was dying a horrible death, Batman was brought to the silver screen by director Tim Burton, with Michael Keaton and Jack Nicholson giving memorable performances as Batman/Bruce Wayne and the Joker. My favorite bat-film other than The Dark Knight, Batman had its music done by Burton’s regular composer-collaborator, Danny Elfman. It was this score that made Elfman one of the biggest composers of Hollywood, and also established him as on of the top choices for comic book movie music. Elfman was an excellent choice, his dark, impressionistic style of film-scoring a natural fit for Batman. The music opens gloriously with “The Batman Theme”. It’s dashing and heroic, yet at the same time is imbued with a dark and sometimes tragic quality. This is my favorite superhero theme. I think John Williams’ Superman theme has a stronger opening titles arrangement, but Elfman’s theme just seems to have more dramatic energy as its quoted in the overall score. It is certainly a very malleable theme, and appears frequently, never failing to make a powerful statement. It made such an impression that it would be used for the opening and ending titles of the 90s’ animated series and in several video games and amusement parks. A major factor in the score actually comes from Prince, who created his own collection of songs for the film on a separate soundtrack album. Many of these songs actually feature in the film, sometimes in an important way. Most important to the actual score is “Scandalous”. Elfman turns part of it into a love theme for Batman and love interest of the film Vicki Vale. The use of Prince songs also effects the material for the Joker. Since many of the Joker’s big scenes are backed by the songs, Elfman does not provide a strong overall theme. The closest he gets is “Waltz to the Death”, an awesome Gothic waltz for part of the final showdown that also dramatically closes out “Kitchen/Surgery/Face-Off”. You’d think the lack of a singular Joker theme would be a detriment, but Elfman pulls it off admirably. After the main theme are “Roof Fight” and “First Confrontation”, two action cues which prove the effectiveness of the Batman theme. “Roof Fight” in particular sets the tone for several of the action pieces, traditional orchestra backed by urban percussion. “Flowers” is a melancholy track on piano and strings, while “Batman to the Rescue” is the most wild action cue. “Roasted Dude” is a short, haunting piece from one of the Joker’s monologues. “Photos/Beautiful Dreamer” is very atmospheric, and utilizes the tune from, as the title suggests, the 1864 song “Beautiful Dreamer”. A definite highlight is “Descent into Mystery”. It kicks off with repeating strings, then a chanting choir. It builds into a short burst of the Batman theme and then introduces a secondary fanfare. This track is just epic, the best combination of heroism and atmosphere I’ve ever heard. Atmosphere of the more peaceful kind features in “The Bat Cave” and the carnivalesque “Joker’s Poem”. “Childhood Remembered” is an eerie piece on tragic strings for Bruce Wayne’s flashback scene. The score’s final run is amazing, a series of big action and grand fanfares. “Charge of the Batmobile” and “Attack of the Batwing” fit in the former category, frenetic action music with the Batman theme liberally applied. “Up the Cathedral” is five minutes of dramatic darkness, with considerable use of an organ. This all builds into “Waltz to the Death”, literally an action waltz for its first half before a more subdued variation plays. “Final Confrontation” is the weakest of the final sequence tracks. It’s not bad. It’s pretty good. It just doesn’t have the wall-to-wall action of “Attack of the Batwing” or the uniqueness of the previous two tracks. It does end with a sweeping tragic motif and a final bit of circus music for the Joker. “Finale” brings back Batman’s fanfares in a big way, probably one of the best closing tracks one could wish for in a superhero movie. The last track is a reprise of the main theme from the end credits. The original album has pretty much all the music you need, but there is a 2014 complete score release. It turns out all the score material fits onto one disc, since many of the scenes are backed by Prince songs. There is one piece of music from the complete score I love called “Bat-Zone”, a slowly building iteration of the Batman theme. 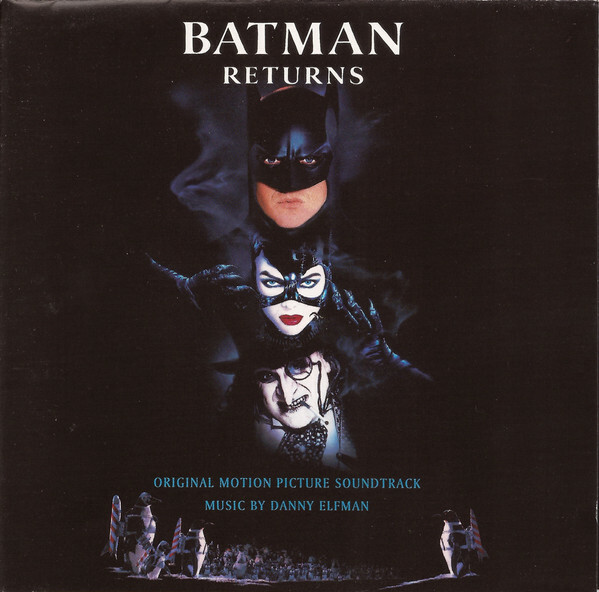 Danny Elfman’s Batman is still the best Batman score, and in my opinion the best superhero score period. It’s got one of the best hero themes of all time, set the style for Elfman’s bigger action music throughout his career, has plenty of atmosphere, and even fits in with Prince’s songs.